Kylie McKenzie of Anthem, Ariz. is one of the top female juniors in the Southwest as well as the entire country. 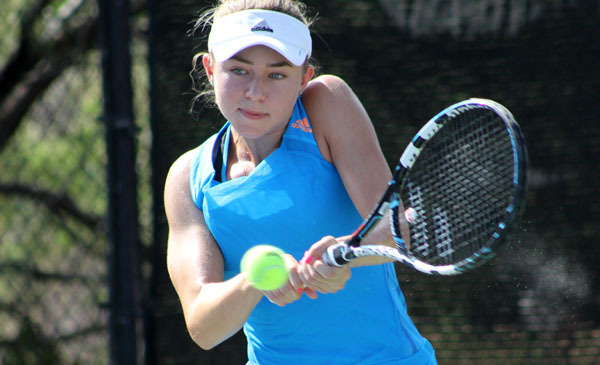 A top performer in every age group she's played in, McKenzie recently snared one of her biggest titles, the Southwest Junior Closed Girls' 18s singles title in mid-June, playing up an age group (she's just 15). For the last couple of years, McKenzie has worked pretty regularly with the USTA Player Development team in Carson, Calif., developing her game, which centers around big groundstrokes and serves. The last year or so, McKenzie has had a full training and travel schedule, training in Spain for a brief time, playing top ITF tournaments in faraway places like Columbia, Denmark, Trinidad & Tobago and the Grenadines Islands in the Caribbean. She's also made stops for ITF events in Atlanta and Tulsa and played the top USTA junior national age group events to bolster her competitive experience. When she's not playing tennis, McKenzie, though an Arizona girl through and through, loves the California beaches, and loves to paint and sketch, as well as hang out with friends and family. We recently caught up with McKenzie for our "Changeover" series to run a few quick questions by her, and just to see how she's doing. KM: I started tennis lessons in Anthem when I was 3 years old. My dad was the one that initiated it and he thought that it would be a great sport for me. He played all sports growing up, as well as being on his high school tennis state championship team. USTASW: Who is your favorite tennis player and what would you do if you were to meet him/her? KM: My ultimate goal in tennis is to become a top professional, compete in Grand Slams, and represent the United States. Ever since I was little I dreamed of becoming number 1 in the world. KM: When I'm not playing tennis I love to read and listen to music. I've always had a passion for art, so in my free time I love to sketch and paint. I love hanging out with my family and swimming in the ocean after practice with my friends. USTASW: What has your experience been like with USTA Player Development/playing in Carson at the training facility? KM: I have been with the USTA in Carson for approximately three years now. I have been instructed in all facets of the game by terrific coaches. They pay attention to detail and work us hard. Physical fitness training is also a priority. Training in California and being in an environment surrounded by professionals has been such an amazing experience and opportunity. I've also made so many great friendships there. USTASW: We heard you went to train in Spain last year. What was that experience like? 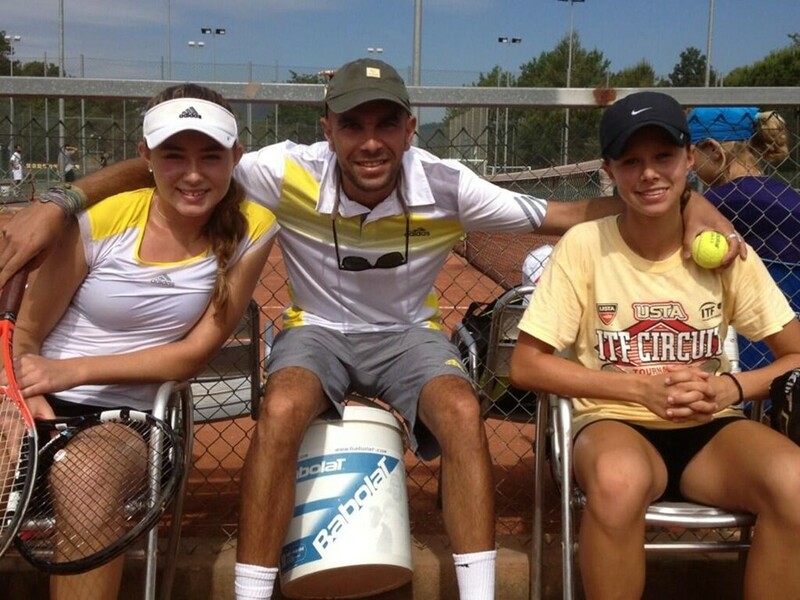 KM: Last summer I went to train at BTT Tennis Academy in Barcelona, Spain (pictured, left) for a few weeks. After that I spent a few weeks in Denmark to play ITF's. First off it was just an amazing experience to go to Europe for the first time with my best friends. The training was so intense and I loved playing on the red clay.